When it comes to ensuring the comfort of your patrons, library furniture is not one-size-fits-all. Whether your library has a designated children’s room or simply an area, furniture sized specifically for children will not only help young patrons better access library materials, it will also improve their comfort and overall experience. The best children’s library furniture is not only sized with kids in mind, it’s also colorful, appealing, and interesting. Children are more likely to visit the library and discover the joys of reading if they are attuned to the space. Children’s bookshelves come in several different heights to give young readers access to books, magazines, and other media, and often have deeper shelves for picture books and toys. For the youngest readers, picture book browsers are often a good choice. These browsers enable books to be displayed forward facing, making it easier for the younger set to pick what appeals to them. To make the library an even more fun place to be, shelving can be combined with specialty seating, desks, and picture book boxes to create places that spark imagination. Some shelves can be converted into reading or play tables, while other shelving is designed to intrigue and attract young readers with their unique shapes and colors. Children’s seating should be appropriately sized, comfortable, and sturdy. Tables and chairs should be strong enough to withstand wear and tear, but light enough so that children can move them around. 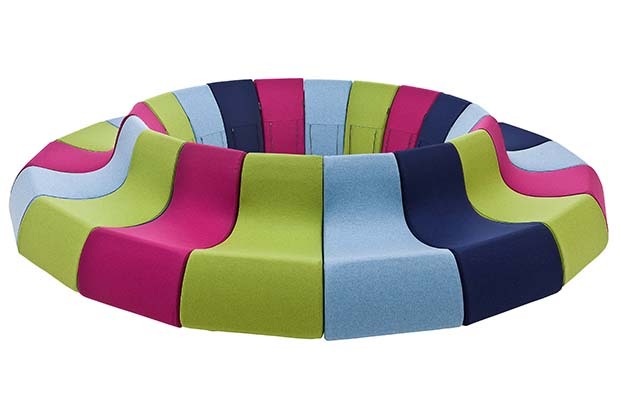 Children’s seating comes in soft and hard varieties, and in colors that attract and delight.